Sen. Marco Rubio, R-Florida, fired back late Friday after Sen. Rand Paul, R-Kentucky, criticized his stance on Cuba as "isolationist," accusing Paul of embracing President Obama's decision to normalize U.S.-Cuba relations after more than 50 years of disengagement. "He just basically repeated the talking points of the president," Rubio said about Paul on Mark Levin's radio show. "And that's fine, he has every right to support the president's foreign policy if that's what he wants to line up with. But I'm telling you it isn't going to work. This notion that somehow by doing this there's going to be change in Cuba is just not true." Rand Paul: Normalizing U.S.-Cuba relations probably a "good idea"
After Mr. Obama announced the resumption of diplomatic relations with Cuba Wednesday, Rubio, a son of Cuban immigrants, savaged the decision as a concession to tyranny, and he vowed to do everything he can in the Senate to block efforts to lift the Cuban embargo. "Appeasing the Castro brothers will only cause other tyrants from Caracas to Tehran to Pyongyang to see that they can take advantage of President Obama's naiveté during his final two years in office," Rubio said. Paul, though, voiced support for the president's move, saying the move to normalize relations with Cuba "is probably a good idea." Rubio panned Paul's position in an interview on Fox News. "Like many people who have been opining, he has no idea what he's talking about," the Florida senator said. 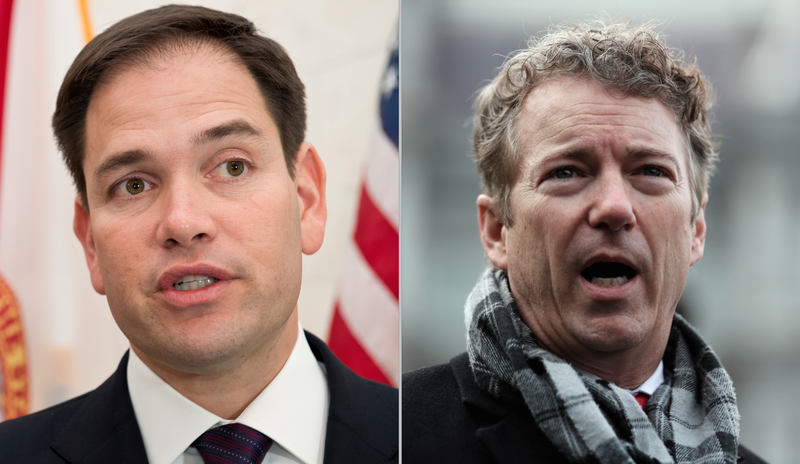 The spat between the two men could be a preview of more friction to come: Both Rubio and Paul are considered possible 2016 presidential candidates.